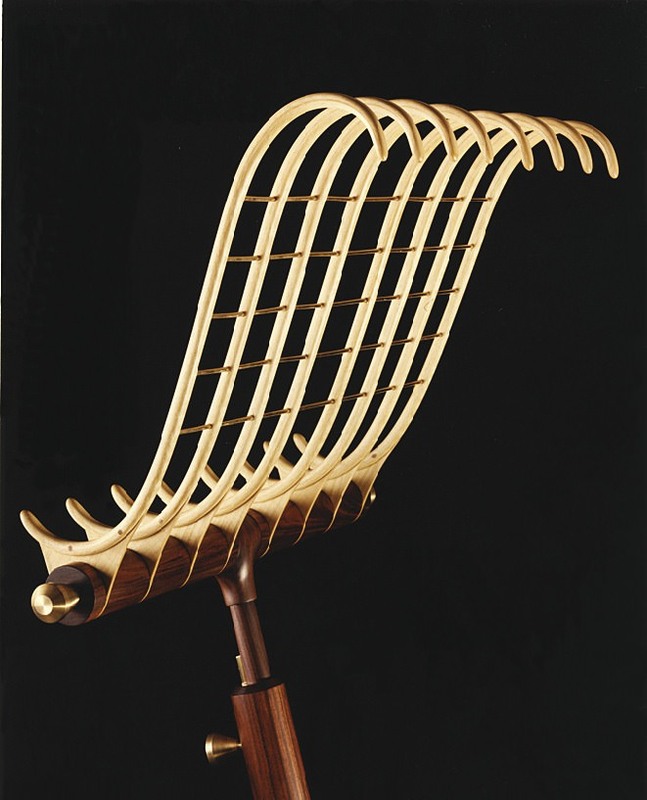 A music stand of East Indian rosewood, with maple laminated veneers curved as delicately as a clef, stands rooted in a solid base so that it leans toward the musician with assurance. 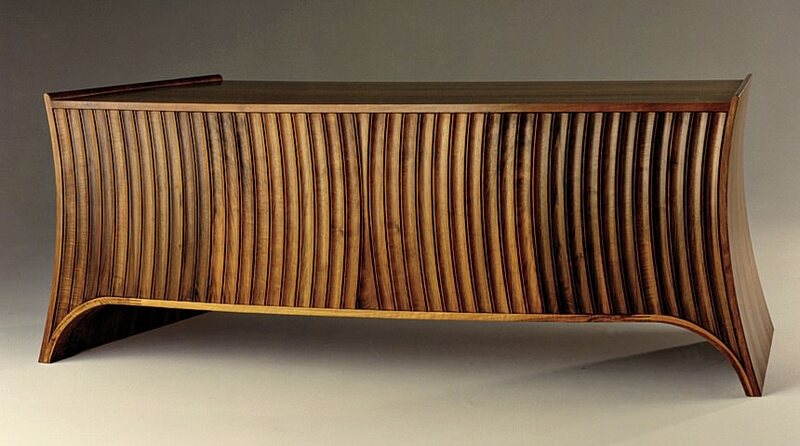 It expresses the remarkable integration of art and utility in the one-of-a-kind pieces by furniture designer/maker Anthony Giachetti, A.M. ’69. Each work has a distinct function—but their enduring aesthetic appeal is even more prominent. “Timelessness is something that I think about constantly in the design process,” he says. 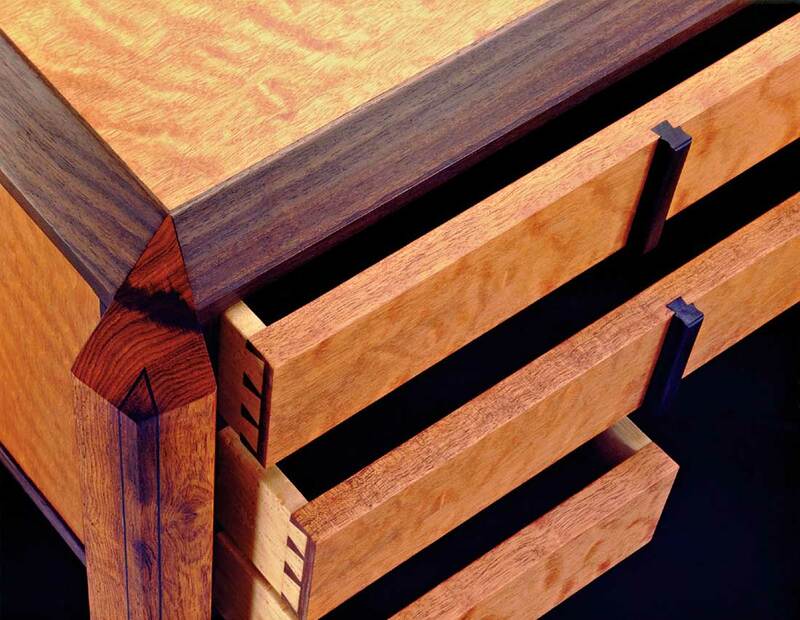 Giachetti, who divides his time between East Boothbay, Maine, and Chapel Hill, North Carolina, hand-selects wood from importers in New York City; favorites include curly maple, Swiss pearwood, curly mahogany, rosewood, walnut, cherry, quartered oak, French walnut, and English brown oak. Beauty attracts him first. The wood, when finished with oil, must “have a look and feel that enhances the grain pattern and is as smooth as silk,” he says. But he also chooses materials that have “the strength necessary for quality-built furniture to last many lifetimes.” The decision to use a particular variety depends on the purpose of a piece or a client’s preferences. 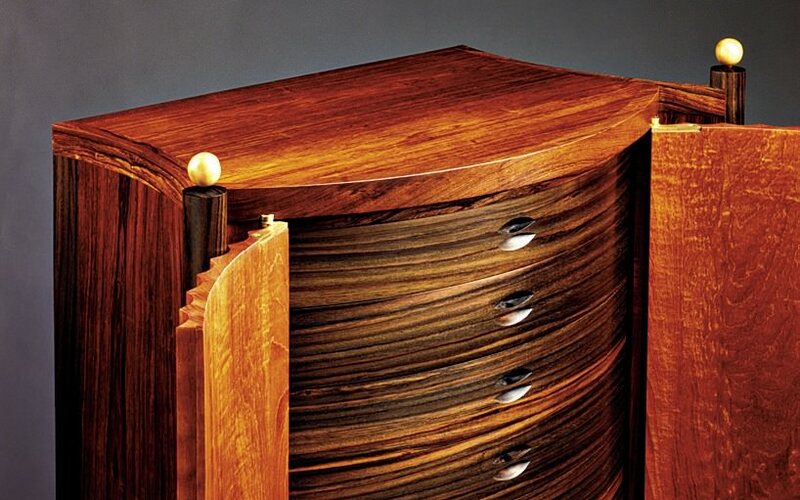 Details indicative of Giachetti’s style include 16 fluted and inlaid curly mahogany door verticals in barrel-stave construction on a cabinet inspired by the designs of twentieth-century Italian architect Paolo Portoghesi. Occasionally, whimsical touches grace the refinement, as with doors on a French- and black-walnut butterfly cabinet that open toward the center, like wings. A jewelry chest, raised on slender legs, contains 29 miniature drawers of different sizes, evoking a sophisticated puzzle. Each intricate piece may take eight or nine weeks of intense work to complete. When Giachetti started, he sold a walnut table for less than $500. 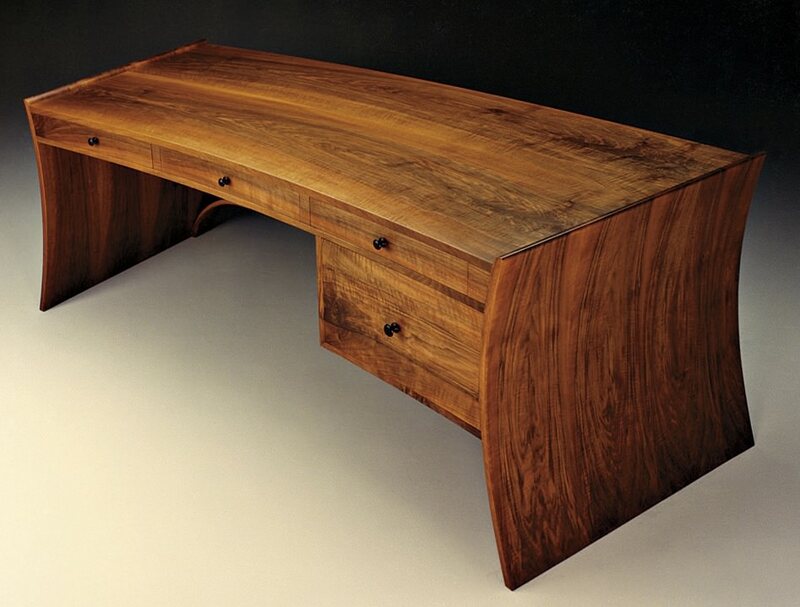 By the early 1990s, when he was working exclusively through private commissions and juried shows, one of his desks sold through the American Crafts Council for $10,000, and another was appraised at $30,000.